"Mr. Chairman, my professional interest and service in Africa spans nearly forty years. I was a part of that generation inspired by the now famous words of President John F. Kennedy – "Ask not what your country can do for you, but what you can do for your country." I began my overseas experience in Africa as a Peace Corps volunteer in Tanzania, where I lived and taught in a small village for three years. I entered the Foreign Service shortly after my Peace Corps tour ended. In over three decades in the State Department, I had the privilege of serving in six different African countries and in three of those countries, as the U.S. ambassador. On various assignments and trips abroad, I have managed to travel to 40 of sub-Saharan Africa's 48 states." 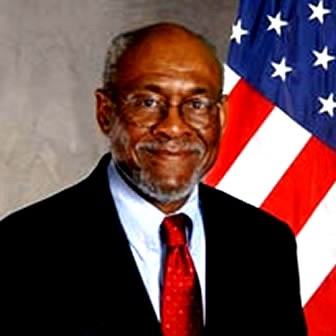 The following is the statement of Ambassador Johnnie Carson, nominee for United States Assistant Secretary of State for African Affairs, in front of the Senate Committee on Foreign Relations on April 29, 2009 in Washington, DC. Mr. Chairman and Members of the Committee, it is an honor to appear before you today as President Obama's nominee to be Assistant Secretary of State for African Affairs. I am extremely pleased to have been nominated for this position and I thank the President and the Secretary of State for the confidence they have shown in me. In recent years U.S. policy towards Africa has generally been built around broad, bipartisan consensus. If confirmed, I want to continue that practice, and maintain a constructive dialogue between the Congress and the Executive Branch. I look forward to working with the Congress, and particularly this Committee, to strengthen U.S.-African relations and to working in partnership with African leaders in and outside of government to expand their democratic institutions, to grow their economies and to end the civil strife that has paralyzed development in some parts of Africa. Mr. Chairman, my professional interest and service in Africa spans nearly forty years. I was a part of that generation inspired by the now famous words of President John F. Kennedy – "Ask not what your country can do for you, but what you can do for your country." I began my overseas experience in Africa as a Peace Corps volunteer in Tanzania, where I lived and taught in a small village for three years. I entered the Foreign Service shortly after my Peace Corps tour ended. In over three decades in the State Department, I had the privilege of serving in six different African countries and in three of those countries, as the U.S. ambassador. On various assignments and trips abroad, I have managed to travel to 40 of sub-Saharan Africa's 48 states. Mr. Chairman, my years of service across the continent have given me a deep respect for Africa's people, their rich history and culture and the challenges they face today in a world of rapid globalization, technological advances and climate change. I also have a deep respect for all the dedicated men and women who work at the State Department -- the Foreign Service officers, the Civil Servants and the Foreign Service Nationals, especially those in the Africa Bureau. That respect also extends to my colleagues in the U.S. Agency for International Development. Service in Africa can be exciting and rewarding, but it can also be difficult and dangerous. I am reminded of that every time I walk into the State Department lobby or get off of an airplane in Nairobi or Dar es Salaam. I applaud my colleagues for their dedication and work and I look forward to leading the State Department's Africa team. Africa is important to the United States for a number of reasons. Our history and our heritage are directly linked to Africa. Over thirteen percent of America's population is of African origin, including our current president. But our interests and concern in Africa reach far beyond ethnicity and national origin and are based on our fundamental interests in promoting peace and stability, democratic rule and good governance and sustained economic growth across the continent – the absence of which invariably impacts the United States. We also see Africa as a major trading partner, especially in the area of hydrocarbons. Fifteen percent of America's oil comes from Africa and the continent supplies the majority of the liquefied natural gas consumed by the eastern United States. Africa's economic potential is vast and its importance as a trading partner will continue to grow. As we near the conclusion of the first full decade of the 21st century, the greatest moments in Africa's long history have not yet been written. Fifty years after most African states achieved their independence the continent is still striving to realize its enormous potential and to play a more significant role on the world stage. I am optimistic about Africa's long term future and believe the continent has the capacity to overcome its past problems and meet its current challenges. During the past decade Africa has made great progress in democratization, economic policy reform and the reduction of violent conflict. The greatest progress has been made in the area of democracy and governance. Africans support democracy and the values that underpin it. The two most recent examples of this are to be found in Ghana and South Africa. On January 3rd of this year, Ghanaians went to the polls and selected John Atta Mills as their new president, marking the fourth successful presidential election in that country over the past fifteen years and the second time the ruling party has been replaced by the opposition. And on April 22, over 13 million South Africans – blacks, whites and coloreds -- went peacefully to the polls to elect a new president, Jacob Zuma. Mr. Zuma is South Africa's fourth president since the end of the apartheid era. These recent elections in Ghana and South Africa are not unique and represent an aspect of Africa's unfolding democratic history that is often overlooked. Since 1998, dozens of African countries have embraced democratic rule. Today, 12 of Africa's 48 states are regarded as full democracies while 23 others are regarded by Freedom House as partial democracies. This is a remarkable achievement given that thirty years ago military dictatorships and one party states predominated across the continent. Although much of this growth was driven by oil and gas exports, and the rise in mineral and commodity prices, significant policy changes by African governments, an upsurge in agricultural exports and the expansion of Africa's entrepreneurial middle class have played a major role in this turnaround. Mr. Chairman, there has also been a sharp reduction in the number of conflicts around Africa over the past decade. The bloody and often barbaric civil wars that ripped Liberia and Sierra Leone apart in the 1990s have ended. The hot war that erupted along the Ethiopia-Eritrean border has gone dormant and the massive outside intervention that threatened to cripple and divide the Congo has now faded away. African leaders recognize the negative impact violent conflicts have on their region and many of them have demonstrated a willingness to assume greater responsibility for preventing and responding to conflicts. The participation of African states in sub regional peace keeping missions and the African Union's commitment to the establishment of five standby brigades across the continent attest to this fact. Mr. Chairman, despite these very meaningful achievements, Africa still faces serious challenges in all of the areas that I have just discussed. Africa's democratic gains cannot be taken for granted. Democratic institutions across the continent remain fragile and vulnerable to authoritarian leaders and ambitious soldiers. In the past twelve months, African militaries have intervened illegally and unconstitutionally in four different countries – Madagascar, Guinea Bissau, Guinea (Conakry) and Mauritania. And deeply flawed elections in a number of countries, including Kenya, Nigeria, and Zimbabwe, have caused deep concern at home and abroad. Africa's strong decade-long economic performance is also in jeopardy because of the current global financial crisis. Although Africa accounts for less than five percent of the global economy, it has not avoided the negative effects of the current economic situation. The steep rise in fuel, food, and fertilizer costs last summer and the wild swings in commodity prices threaten to erode some of Africa's recent economic gains. With declining export earnings and foreign exchange reserves, Africa's poorest nations run the risk of falling backward into new indebtedness and deeper poverty. Mr. Chairman, although the overall level of violence and warfare in Africa has also witnessed a sharp decline, several complex and deeply rooted political conflicts persist in Somalia, Sudan and the Eastern Congo. Somalia is a failed state and its deep decline has generated an epidemic of piracy, a massive influx of refugees into Kenya and a growing concern about cross border terrorism. Sudan faces two major challenges in Darfur and southern Sudan. The Sudanese government's brutal attempt to suppress a rebellion in Darfur has uprooted millions of people, destabilized Chad and the Central African Republic and generated one of the world's worst humanitarian disasters. In southern Sudan, the Comprehensive Peace Agreement that ended the twenty-one year civil war between the Khartoum government and the SPLA has not been fully implemented and at times has been on the threshold of collapse. And in the Great Lakes region of the Eastern Congo, several different rebel groups continue to defy central government authority, terrorize the population and keep tensions high along the border with Rwanda and Uganda. Mr. Chairman, I think the United States has significant political, economic and humanitarian interests in wanting to help Africa to deal with its most pressing challenges, and if I am confirmed, I will focus on four key areas: (a) Strengthening Africa's democratic institutions and encouraging good governance and the rule of law; (b) Working with African countries to prevent conflict and build local capacity in conflict mediation and peacekeeping; (c) Fostering sustained economic development and growth in the wake of the current global economic downturn; and (d) Partnering with Africa to combat global threats like health pandemics, climate change, food insecurity, narcotics trafficking and maritime insecurity. Strengthening Democratic Institutions: Democracy is a process, not an event. We must work in partnership with African governments and civil society organizations to strengthen their democratic institutions and to protect the democratic gains they have made. To support those efforts, I will speak out against corruption, abusive government and human rights violations. I will encourage the development of independent judiciaries, strong legislative bodies, robust civil societies and transparent elections. If confirmed, I will be a strong advocate for greater resources for USG-funded democracy and governance programs and for increased Africa programming by organizations like the National Endowment for Democracy, the National Democratic Institute and the International Republican Institute. In recent years, the amount of money and support we have provided for democracy and governance activities in Africa has declined sharply in relation to what we do in other areas. I will work hard to reverse this trend. Preventing Conflict: If confirmed, conflict prevention and conflict mitigation will be among my highest priorities. Conflicts in Africa do more to undermine progress than almost anything else. They destabilize states, halt economic growth, cause enormous loss of life and frequently result in major refugee flows. They also tarnish Africa's image. I will try to be proactive in working with African leaders, civil society organizations and the international community in preventing conflicts and trying to work with African leaders to defuse political, economic and regional disagreements before they become sources of open hostility. It is not enough to just stop new conflicts from occurring. We must assist African leaders to resolve the conflicts that already exist. If confirmed, I will work closely with President Obama's special envoy on Sudan to avert a greater humanitarian crisis in Sudan, to resolve the Darfur conflict and to ensure the full implementation of the 2005 Comprehensive Peace Agreement. I will also work with my colleagues across the Executive Branch to come up with a comprehensive strategy on how to end Somalia's long nightmare of instability and help bring peace to that country. I will try to build on and expand the work of my predecessors to strengthen African peacekeeping capabilities and to support the African Union's peace and security initiatives. I will support the deployment of additional infantry battalions to the UN-AU Hybrid Mission in Darfur and the provision of more equipment and logistical support to the African Union Peacekeeping Mission in Somalia (AMISOM). Fostering Sustained Economic Growth: Fostering sustained economic growth will also be a priority. Africa remains the poorest and most economically vulnerable continent in the world and the current economic crisis threatens to reverse recent economic gains. Now more than ever, the United States must help its African partners raise per capita income levels, promote broad-based, sustainable growth, and improve their business environment. The Millennium Challenge Account (MCA) and African Growth and Opportunity Act (AGOA) have been two cornerstones of the U.S. strategy to jump start Africa's economic development and encourage pro-growth policies. After getting off to a slow start, the Millennium Challenge Corporation has signed compacts or grant agreements for $3.8 billion dollars with ten African countries and the African Growth and Opportunity Act (AGOA) has allowed 40 African nations to benefit from preferential access to American markets. 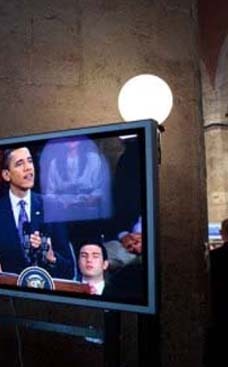 These two programs, as well as others, have been very successful and very popular. But we – and others in the industrialized world – must do more. I would like to see AGOA revised and expanded to permit high value agricultural and semi-processed exports from Africa, to increase utilization of the program by beneficiary countries and to have it serve as a catalyst for greater intra-African trade. We must place renewed and sustained emphasis on Africa's agricultural sector, where more than seventy percent of Africans directly or indirectly derive their income. To spur development, create jobs and end hunger, we must help Africa transform its farming sector to achieve a green agricultural revolution similar to the one that has improved the lives of millions of people across Asia. We must promote private sector growth initiatives, small and medium size businesses, more private investment and continued government reform – including in the critical area of transparency. We must ensure that Africa's women are included in all these programs as well. But most importantly, we must – along with the other G-8 and G-20 countries – live up to the financial commitments that we have made to assisting developing countries. As Secretary Clinton has pointed out, more than two billion people worldwide – the greatest share of them in Africa -- live on less than two dollars a day. These people are the first ones to bear the brunt of the world economic crisis, because they are the ones who have the least amount of cushion, and are the least likely to be caught by even a shred of a safety net. Global poverty has a direct impact on America. Combating health pandemics, climate change, food insecurity, narcotics trafficking, and maritime insecurity: Africa's poverty has put it at a distinct disadvantage in dealing with major global and transnational problems like health pandemics, climate change, food shortages, narcotics trafficking and the illegal exploitation of Africa's maritime resources. In the fight against AIDS, malaria and tuberculosis, the United States has been one of Africa's major partners. Working together, the Executive Branch and the Congress have already provided $18.8 billion in HIV/AIDS funding through the PEPFAR program. The Congress recently authorized an additional $48 billion for this program, which will boost the fight against HIV/AIDS, tuberculosis and malaria across Africa over the next five years. But Africa faces two other transnational threats – narcotics trafficking and climate change. Narcotics trafficking has become an increasing problem in West Africa and could become a major destabilizing force in the years ahead if it is not stopped. On a larger scale, climate change is already affecting many parts of Africa, but most African governments are ill prepared to deal with it. As Africa faces the impact of these new transnational problems, we have to be equally active in working with leaders and governments across the continent to address issues that are global in nature, not just African. Mr. Chairman and members of the Committee, I have laid out a broad agenda, but it is an agenda that is mutually beneficial to the interests of Africa and the United States. It is an agenda for progress – progress that will strengthen U.S. –Africa relations and one that will hopefully advance every African's goal of improved governance, sustained economic growth and a more prosperous and globally significant Africa. I am aware of the deep interest and the importance the members of this Committee attach to U.S. - Africa policy. If confirmed, I look forward to working with you to advance the goals we all share with respect to Africa's future and our relations with that great continent. Thank you.